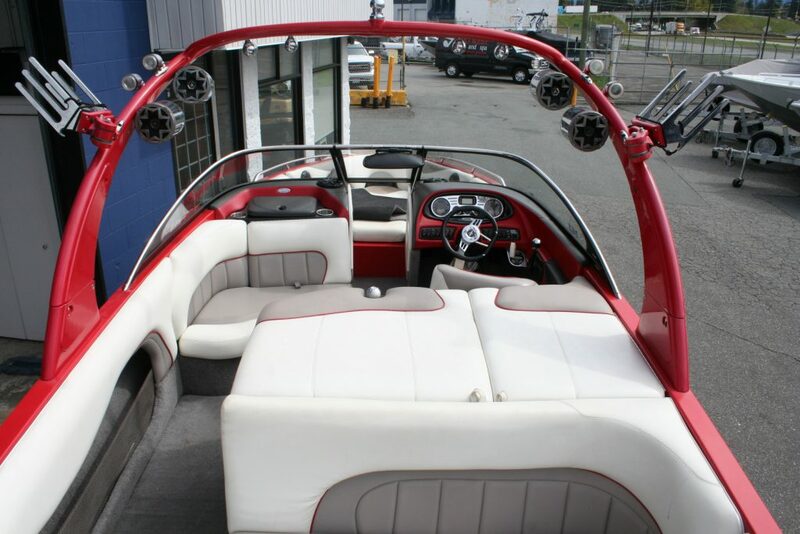 Financing $Avail. 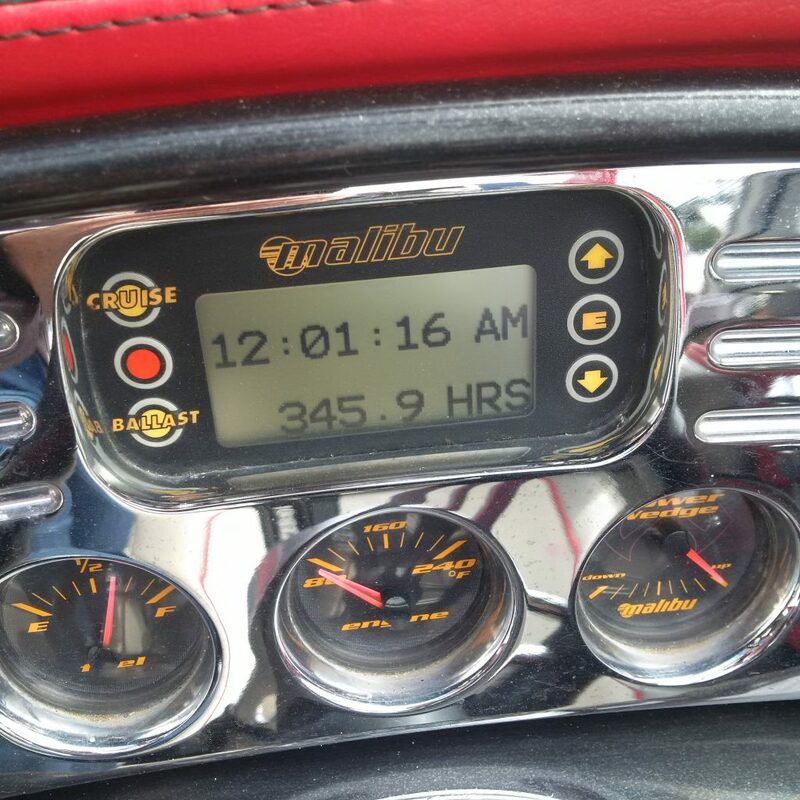 per month O.A.C. 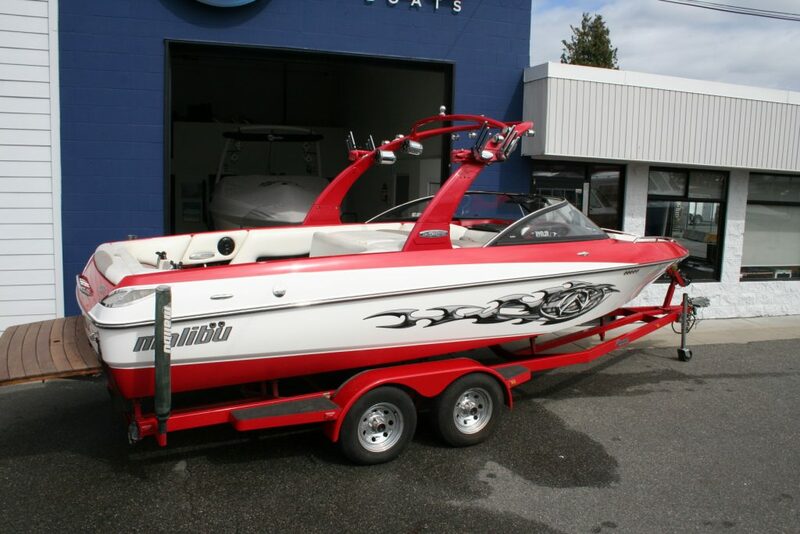 Nice clean Wakesetter with low hours that we sold back in 2006 has come back in on trade. 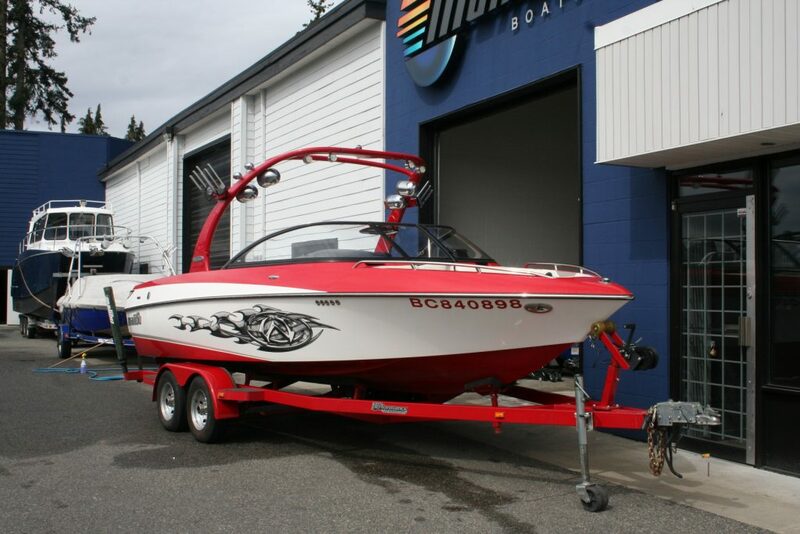 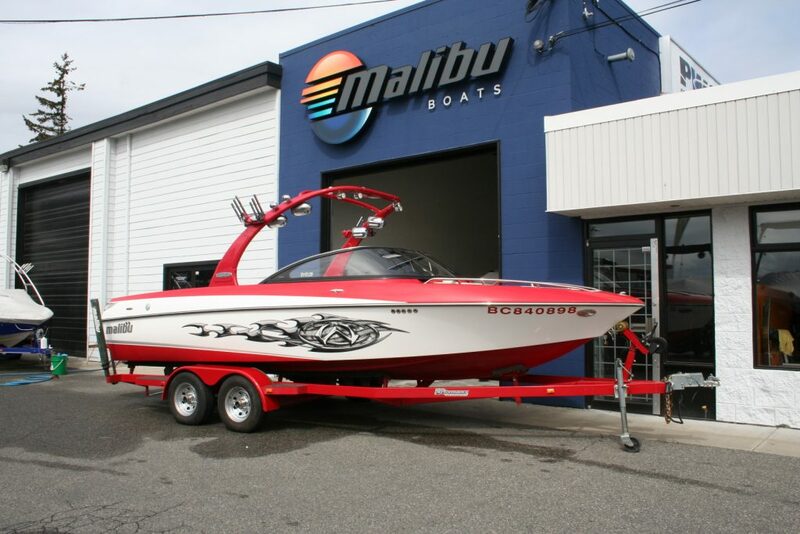 Fully loaded Wakesetter 23XTI with the 340hp Indmar monsoon with only 346 hours. 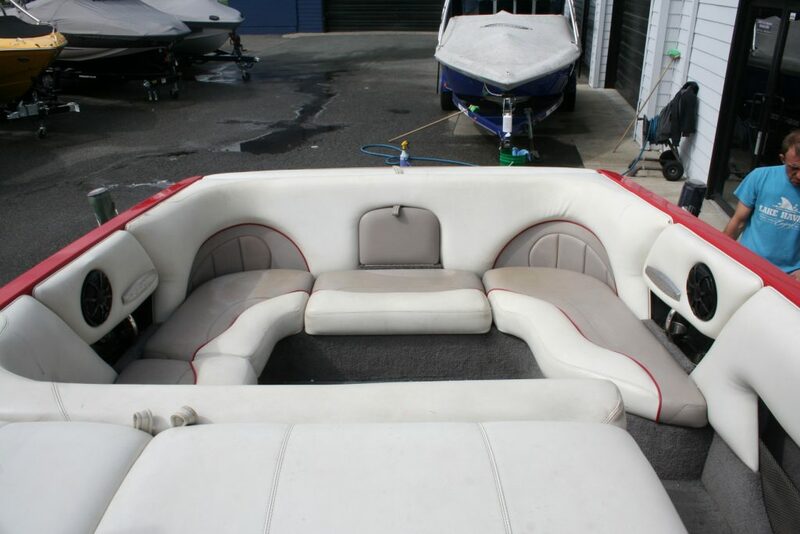 One of the nicer boats we sold back in 2006 this boat has the popular XTI layout offering two separate seating areas. 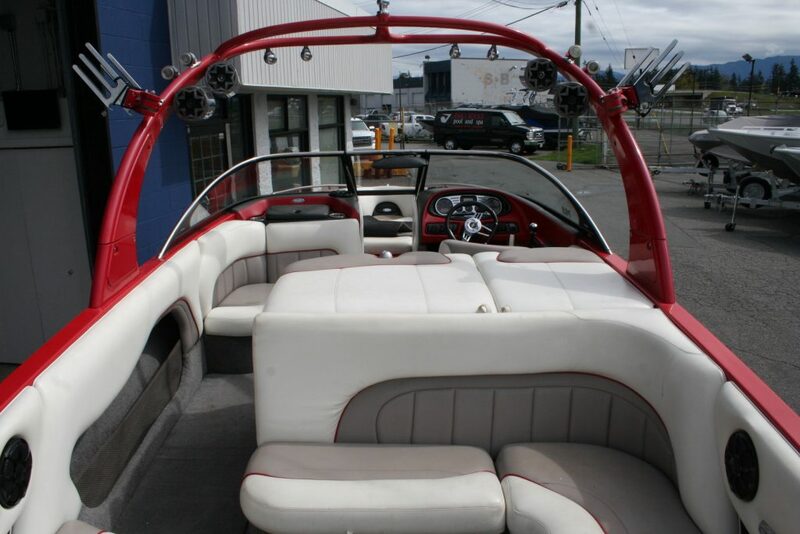 The rear area is equipped with it’s own cooler and table making it a great area to enjoy a day on the lake. 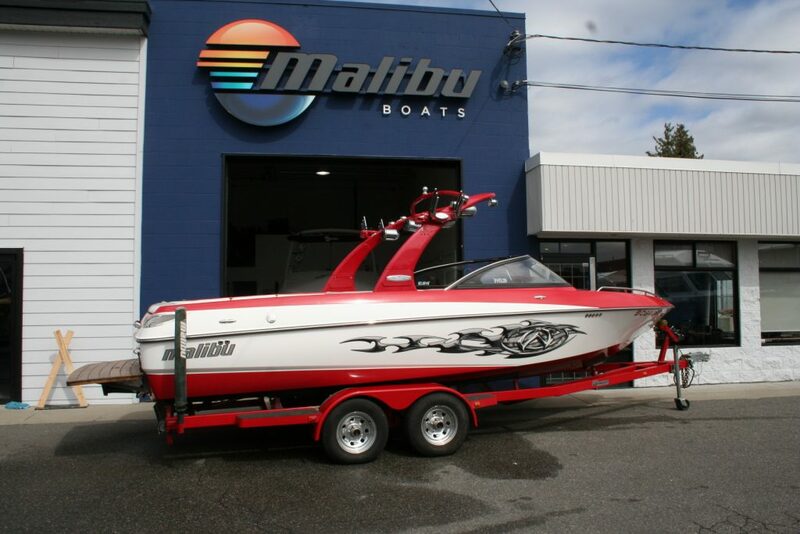 Equipped with three factory ballast tanks and a power wedge this is a great “DO IT ALL” family boat. 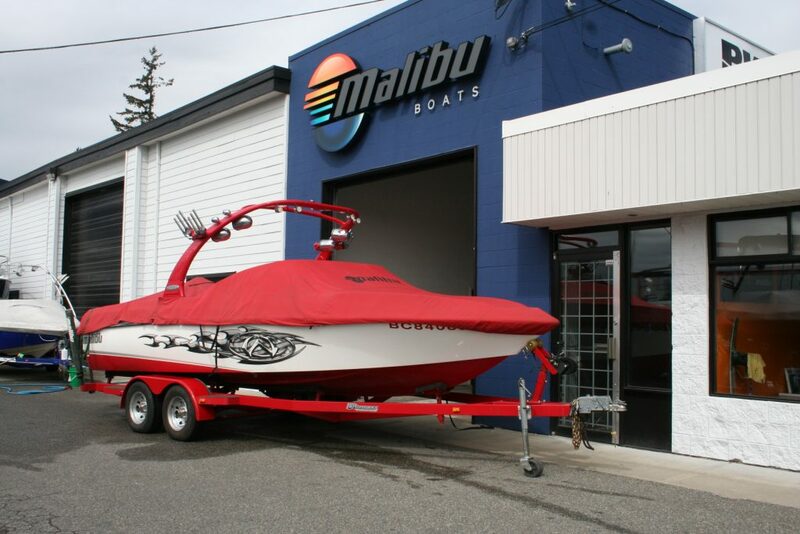 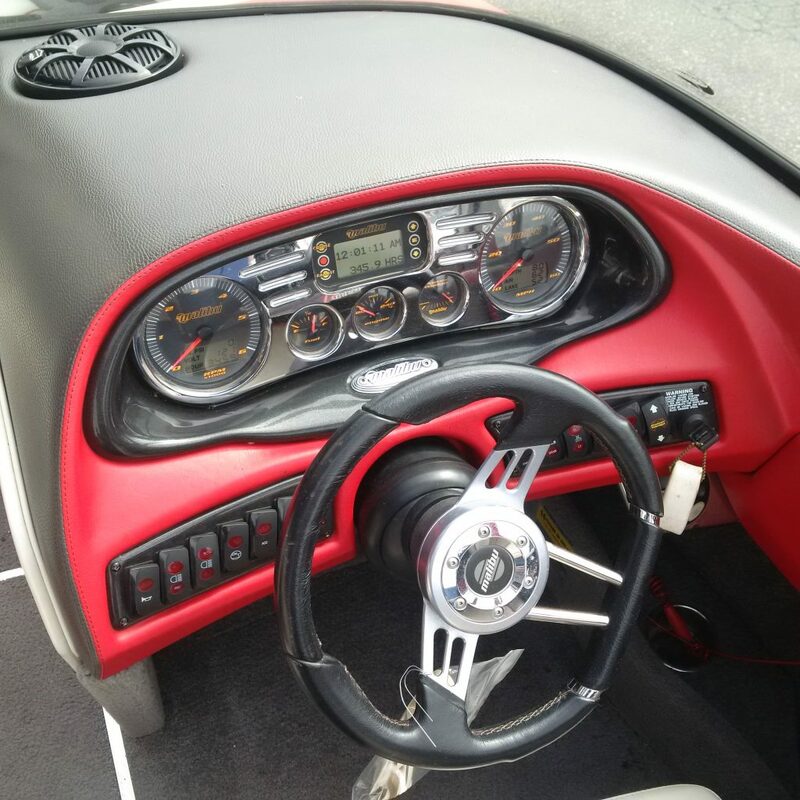 Boat has been fully inspected by our shop, tuned up, detailed and is lake ready. 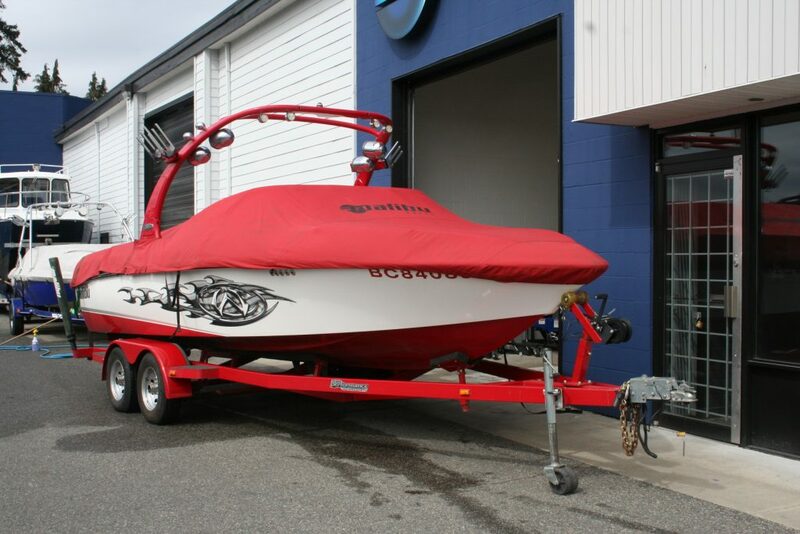 Indmar 340hp Monsoon engine, Dual battery with switch, Heater, Shower, On board factory ballast, Power Wedge, Flip up bolster drivers seat, Air temp/lake temp/depth finder, Pull up cleats, Upgraded stereo with tower audio and subwoofer, Bimini top, Tower lights, Mooring cover, Swivel wake racks, Stainless exhaust, Docking lights, Pop up bow light, Carpet saver carpet insert, Tandem axle trailer.